Hatsune Miku might be virtual, but that isn’t stopping her and her blue-green hair from appearing in a shampoo spot with the very real Scarlett Johansson. 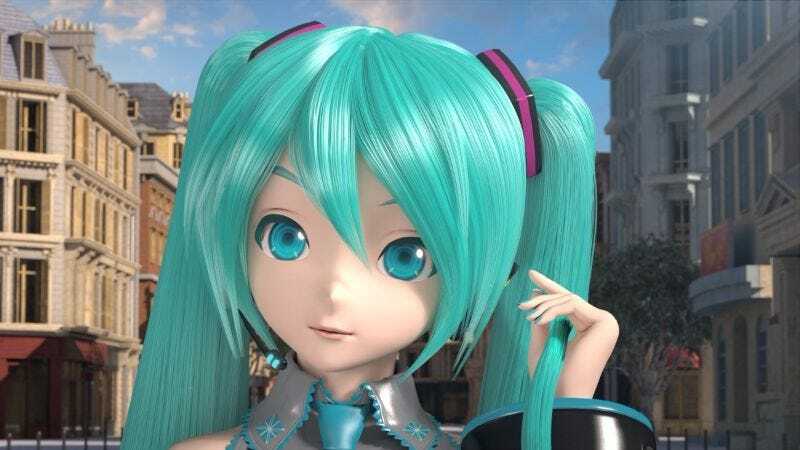 Lux released a web teaser in which Miku announces that she will be starring in her first shampoo commercial. She also says it’s the first time she’s worked with a Hollywood actress. Hatsune Miku has already sold cars and appeared on American late night television. In case you missed it, check out Kotaku’s impressions of Project Diva Future Tone.